The debts accumulated during the marriage are usually divvied up between the two people and then deducted from the family assets. The net assets are typically also shared but this will depend on the circumstances. However, there are certain circumstances that mean the court will look more closely into the debts owed by the divorcing couples, this will mean that the debts are analyzed more closely. 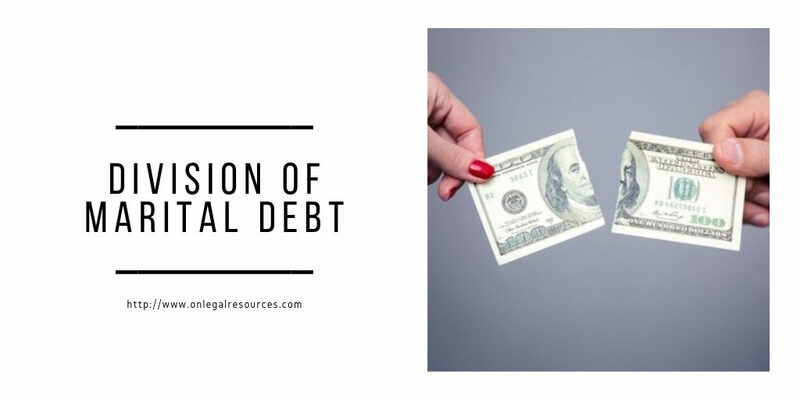 For example, the court will look at whether the debt accumulated for the benefit or enjoyment of the family or whether they were taken out for one of the parties for their individual gain. Individual gain, for example would count as cosmetic surgery or personal hobbies. Benefits for the family would be something along the lines of a family holiday or improvements within the family home. Another thing that is also taken into consideration is the timing of the debts and when they were taken out. To speak generally, the court will divide debt responsibility between two people if it happened during their marriage, however, if one party entered into the marriage with a large amount of debt already accredited then the court will look at things differently. Usually the ruling would decide that the individual is responsible for their own debt but sometimes this is not the case for those who have been in long term marriages. But typically, the debt belongs to the person whose name is on it. It is vitally important that debt settlement issues are sorted out before the divorce proceedings and the paperwork actually goes through. Bankruptcy from an ex-spouse can ruin any financial future an individual may have moving forward with their live, so it is best to go through the process before the divorce is official. That is why it is advisable to transfer the name of any debt during the separation onto the party that ran it up. This will potentially create some tension to an already difficult situation, but it does need to done to ensure the financial safety and responsibility of each party. So divorcing couples should transfer balances to other credit cards or consolidating the balances with yet another loan. It is a difficult conversation that is vital though. During divorce each party must take into account their own futures.